We've included listings for companies such as USFloors and Kellogg Hardwood Lumber inside our Maple Flooring guide. 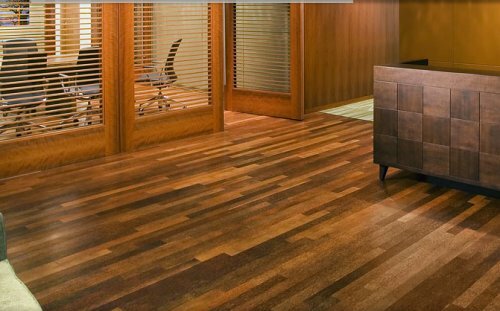 USFloors in Dalton, GA, is a leading US manufacturer of sustainable flooring, including bamboo and cork and more traditional materials such as maple and oak. Wholesaler and lumber mill dealing in salvaged antique timbers turned into flooring, engineered flooring, beams, siding, mantels and moulding and millwork. moumill and more. This company is no longer in business, alas. 40 Old CN Station Rd. This Canadian mill offers quick turnaround on orders for wood countertops, table tops, butcher block and more. Stock designs ship immediately, custom orders are milled and shipped in less than a week. Housatonic offers antique and wide-plank flooring in a variety of grades and species. The company also sells Amish-style furniture. Bruce has been in the hardwood flooring business since 1884. Today it's the largest supplier of hardwood flooring in the residential housing market. Site includes planning and installation guides, but no direct ordering. Since the 1970s, this Maryland company has been salvaging lumber from buildings slated for demolition, then milling this wood into flooring, beams, mantels and stair parts. Today the company boasts an inventory exceeding 1 million board feet of antique lumber. Located deep in the northern Maine woods, this family-owned company offers a full line of pre-finished maple, birch, red oak and white pine solid wood flooring in widths ranging from 2 1/4" to 5". The company prides itself on exacting milling standards, which produce a smaller-than-average microbevel between boards. Flooring pieces are also longer than from most suppliers. Products are "green" as well - coming from sustainable forests, and packed for shipping in plain brown boxes. Maine mill in existence since the 1800s produces custom wood floors, beams, molding and exterior siding in pine, maple, oak, cherry, and other native woods. Direct sales of hardwood flooring from Bruce, Tarkett, Hartco and other well-known manufacturers. Site includes a wide range of choices. The online arm of a Massachusetts-based family flooring business, this site sells an extensive selection of hardwood, engineered and laminate flooring from many name-brand manufacturers. This Vermont company mills and sells online wide plank flooring in many species, plus several species of pine. The company also offers dimensionally stable quartersawn flooring ... a great choice for houses with radiant heating. Custom wood doors, mouldings, wide plank flooring and architectural millwork, made from more than 20 standard wood species. Products are handcrafted to order in the U.S.A.
Based in Bethel, Conn., about 50 miles from New York City, this company mills and sells wide plank flooring, cabinet-grade lumber, custom hardwood mouldings, wood for boat-building and such. The company delivers in the Northeast, and will ship its products nationally. Lumber company remills salvaged oak, heart pine, and maple into floor boards, molding, and stair treads. This Wisconsin company offers flooring, resawn and milled from reclaimed wood that is salvaged from old barns and old buildings. Products delivered nationwide. Species include Pine, Oak, Maple, Cherry, Chestnut, Walnut, Hickory and Elm. This unique mill concentrates on making and selling beautiful burl and root slabs, milled mainly from Redwood and Maple trees. These slabs can be used for woodworking projects ranging from tables to bar tops to flooring. Additionally, the company makes and sells burl and root mantels. Maker and seller of pine and cedar log siding and paneling. The company's best-selling products are its "zero waste" end-matched log siding that has tongues and grooves on all four edges. Products are kiln dried, for minimal shrinkage. Coconut palms enter the sustainably harvested flooring market.